At MWC 2012 HTC announced a new line of smartphones – the One, which includes three phones at the moment – the One X, the One V and the One S. All three devices have different specs and appearance, and, naturally, come with different price tags. The HTC One X is the most powerful one among all three, so it’s expected to be the main flagship of the company this year, unless HTC released something even cooler in the second half of the year. It’ll be released soon, most likely in the second quarter of the year. Can this smartphone stand against the best devices released in the end of 2011? 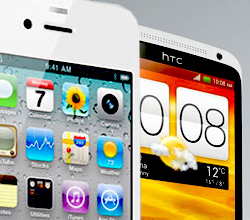 In this article we’ll try to find out if the HTC One X can compete Apple’s current flagship – the iPhone 4S. 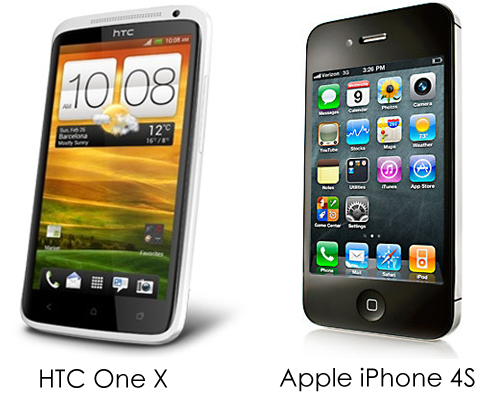 It’s not really a good idea to compare the iPhone 4S and the HTC One X in terms of design, since some people like the looks of the first, and some others clearly prefer the second. The iPhone 4S has a classy and recognizable design, but a rather small 3.5-inch screen; those who love the Apple brand and want everyone to see they’re holding an iPhone in their hands will no doubt choose the iPhone 4S. And those who prefer bigger screens will love the 4.7-inch display (with 720 x 1280 pixels resolution, by the way, promised to be very bright and detailed) of the HTC One X. By the way, the One X is lighter, too, even though it’s bigger, and this can be a good argument for many. The iPhone 4S has a rather fast dual-core processor clocked at 1GHz. Almost all high-end phones had similar processors, so Apple’s device was rather competitive in the end of 2011 and in the beginning of 2012. 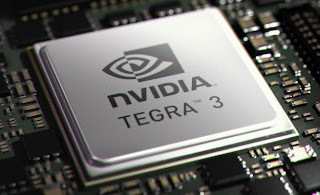 However, everything can change with the release of the HTC One X with its quad-core CPU clocked at 1.5GHz – it’s going to be much faster and much more responsive than the old dual-core ones. Plus the amount of RAM in the One X is twice bigger than in the iPhone 4S, which will also play its role when it comes to fast performance. Though the HTC One X will have a cooler processor than the iPhone 4S, the other specs of these two flagships are rather similar. They both have 8MP cameras that take 3264x2448 pixels photos and shoot 1080p videos at 30fps, but the One X uses HTC’s ImageSense software and can take many, many continuous shots in just one second, while the iPhone 4S has access to a number of photo sharing apps that are Apple’s exclusive. The HTC One X is also famous for its good-quality sound (after all, it uses Beats Audio just like all latest phones manufactured by Samsung). But anyway, we can’t say it’s a big advantage over the iPhone 4S, since Apple’s smartphones have always been famous for their great sound even without any Beats Audio. The HTC One X will run the latest version of Google’s famous OS – Android 4.0 Ice Cream Sandwich, which looks great and is expected to feel great, too, thanks to the HTC Sense user interface. The iPhone 4S runs the good-old iOS5. I don’t really want to speak much about these platforms, since none of them is really better than the other. Both have their fans, and both have a number of shortcomings and advantages. Let me just say that iOS is usually more intuitively understandable and easy in use, but Android is much more customizable, and it’s open source, too. So what do we have here? Most specs and features of the iPhone 4S and the HTC One X are similar, but the more powerful CPU (with a bigger battery to support its work) makes the One X look a bit better. If the HTC One X doesn’t come at a sky-high price, maybe they’ll be a sense in buying it. Amelia is a journalist who writes about news, politics and other dull things. In evenings she turns into a crazy geek who reads and writes about gadgets, likes to compare smartphones, analyzes the trends in the current phone market etc.